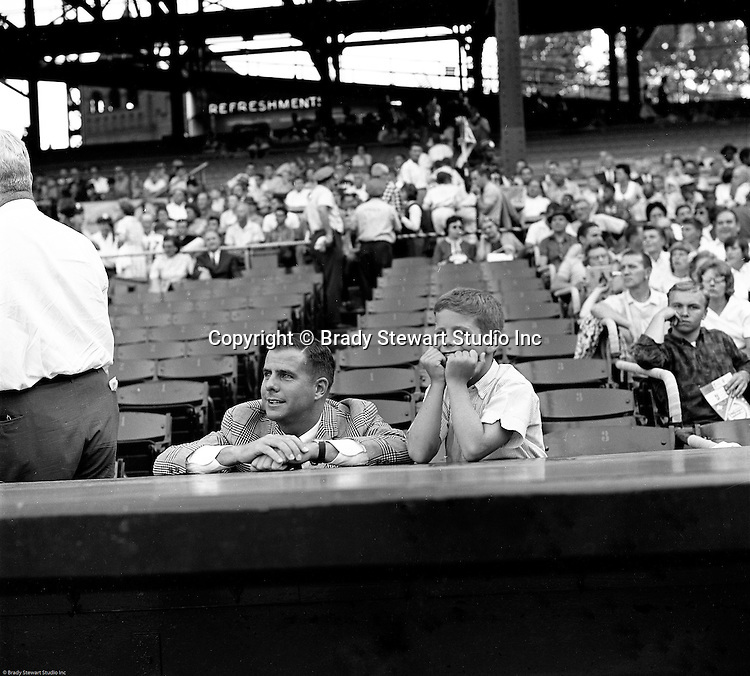 Oakland Section of Pittsburgh: Fans watching the annual HYPO baseball game at historic Forbes Field in Pittsburgh - 1964. The money raised by HYPO (Help Young Players Organize) was used to help local communities buy equipment and build ball fields. Forbes Field was a baseball park in the Oakland neighborhood of Pittsburgh, from 1909 to 1971. It was the third home of the Pittsburgh Pirates, and the first home of the Pittsburgh Steelers, the city's National Football League franchise. The stadium also served as the home football field for the University of Pittsburgh Panthers from 1909 to 1924. The stadium was named after British general John Forbes who fought in the French and Indian War, and named the city in 1758.